The new rail ombudsman will be responsible for investigating customer complaints when train companies have failed to take action. If the ombudsman identifies valid complaints and claims that the train company has disregarded, then the ombudsman will be able to overrule the train company’s decision. We hope that this ombudsman will help to improve standards across the industry, as well as ensure that your complaints can no longer be ignored by train companies. Back in the early days of our rail campaign in 2015, we called for an overhaul of the compensation system. Our research identified a sorry picture of misinformation with passenger rights, failure to compensate and a poor picture of people claiming compensation for an unsatisfactory service. Our super-complaint to the rail regulator convinced the regulator to take action and review the system. We then raised concerns over the standards of service across the industry – highlighting stories of regular delays and cancellations, dirty trains and overcrowded services. We urged the industry to improve, but flagged that an ombudsman to handle complaints could encourage better standards. Over 100,000 people have supported our rail campaign calling for improvements to rail services. Last summer, we celebrated a mini-win for the campaign as the industry announced that an ombudsman would be on its way, but disappointingly this would have been a voluntary scheme. This wouldn’t be enough to improve standards across the industry. The rail regulator has revealed today that it will make it mandatory for train operators to meet the standards set out by the Ombudsman Association, and this will be supported by legislation. So, this will essentially make the voluntary ombudsman scheme a compulsory ombudsman. Most importantly for passengers who have complaints to make against a rail company – the ombudsman will be free, independent and able to make decisions that are binding on the rail company. 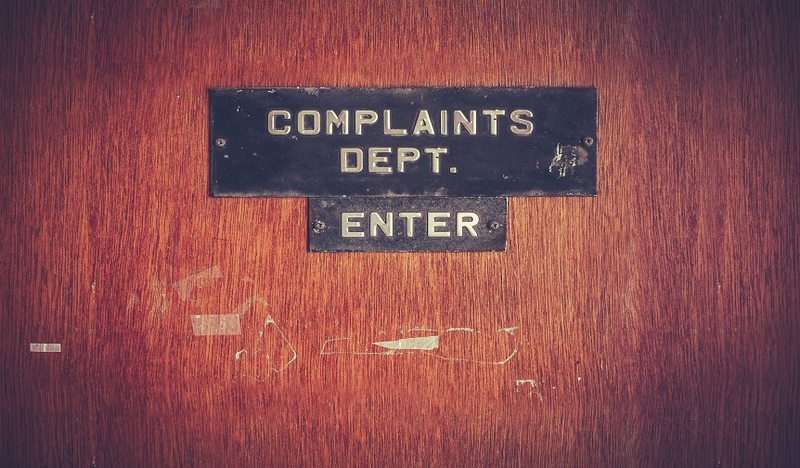 This new ombudsman should give you the confidence to ensure that if you aren’t happy with the way your complaint has been handled by the train company there is another route to be heard. Thousands of you have shared your stories of nightmare services you’ve had to endure. We hope this scheme, which is expected to start later this year, will get the wheels turning on improving trains services across the industry. Have you had a complaint about a train service that was poorly handled? Was your complaint successful? Do you think this new rail ombudsman will lead to improved train services? I recently had to get a train from Barming to St Pancras. The train I was scheduled to catch was cancelled and the next one was over 20 mins late which resulted in a wasted hospital appointment I travelled all the way from Plymouth for. It’s not good enough – they need more accountability and oversight by an ombudsmen. A few years ago, I complained bitterly that the 17.30 from Holyhead sometimes ‘just missed’ the booked Virgin connection at Chester. In fact, it became quite farcical as passengers with bags struggled over the footbridge amid a cocophony of whistle blowing and shouting. It was not unknown to miss the connection. Following my complaints, in fairness, Arriva Trains Wales re-scheduled the Holyhead train and then ran it non-stop from Llandudno Junction to Chester. This resulted in more time for the Chester connection and a more relaxed inter-change. It really is worth writing polite well-expressed complaints, detailing the required improvements. Full marks to Arriva Trains Wales for responding so well. You have NO right’s whatsoever when some arrogant B*****d, who has only paid for 1 seat take’s up 2 & refuses’ to move, leaving you stood in the aisle. These are people who should be targeted & the train operators’ should have more power when it comes’ to dealing with these people. Maybe they should be removed from the train altogether & made to catch another? Only then, can the price of our train fares’ be a bit nearer justified, despite being extortionate anyway. Now, “That” is a train complaint! One unwelcome trend that is emerging, is that when engineering works are taking place the blockade involves a much longer length of line than was the case only three years ago. This involves longer and more uncomfortable journeys on often old buses often taking an hour or more. To make matters worse Network Rail are proposing two 9 day blockades in October 2018 and February 2019 meaning no trains during that period and that many rail journeys will be replaced by bus journeys up to three times longer during this period (including peak hours), assuming that road traffic conditions will be good. At the end of the day, if you buy a rail ticket, you rightly expect to travel by rail, not on an old and uncomfortable bus and being forced to shoe-horn yourself into a seat with hopelessly inadequate leg room, if you are unfortunate enough to be tall in height. A new generic problem for train travelers is emerging, and this relates to appalling seating on the new Hitachi 800 trains that are currently being introduced by GWR and will be introduced elsewhere in the future. I have traveled from Cardiff to London and back a couple of times on these trains, and all I can say is that the seats are truly appalling. They are supposed to be ergonomically designed, but I am guessing that this means – for the train company – finding a way to fit as many seats in each carriage whilst maintaining leg room. But the seats are not only hard, with a very upright back, and practically no upholstery, but they are really badly shaped. The low back should be supported with a convex lumbar area; in these seats that area of the seat is concave. I finished up one journey with an attack of sciatica that took several days to subside. Note that back pain is a leading cause of absenteeism from work, costing 31 million days of lost work in the UK each year and at today’s prices, probably around 2 Billion pounds in direct health care costs. GWR will be adding to the burden of back pain in the UK unless something is done to halt the roll-out of the Hitachi trains with these appalling seats. This has the making of a national scandal. I do hope that the Consumers’ Association, as a body can get involved in lobbying to have something done about yet another scandal which will affect thousands of travellers for years to come. I have had no experience of these trains myself but I believe they were procured by the Department for Transport so presumably the design and layout were approved by them. For long-distance travel – for which these trains are intended – the seating should be comfortable, supportive, and allow the passenger to change position. I think it is highly regrettable that the railways are becoming an increasingly unpleasant way to travel. As you say, the seat pitch and design are determined with a view to maximising the capacity not with the needs of passengers in mind even though that is the avowed mantra of the Secretary of State for Transport. I suggest you write to him to complain as well as to the GWR.